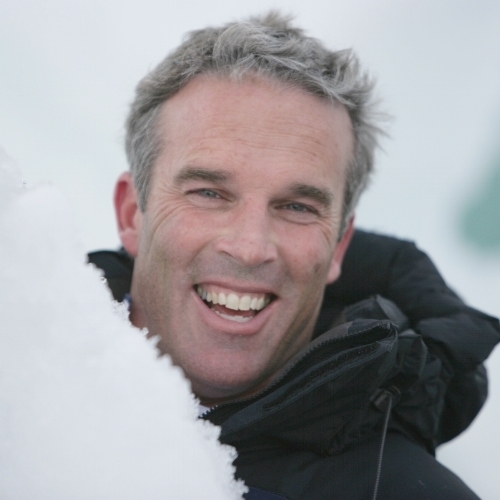 Book Lewis Pugh as a keynote speaker. Lewis Pugh is the only person to have completed a long distance swim in every ocean of the world. He was the first person to swim across the North Pole, and to date has pioneered more swims around famous landmarks than any other swimmer in history. Each of these seemingly impossible feats - putting his body through unimaginably difficult conditions - was done to raise awareness about the vulnerability of our oceans and their importance to humanity. And he’s not finished yet. For more information on Motivational speaker Lewis Pugh, contact VBQ Speakers founding agent Leo von Bülow-Quirk on leo@vbqspeakers.com or 0044 7833 727090. Lewis Pugh is the only person to have completed a long distance swim in every ocean of the world. He was the first person to swim across the North Pole, and to date has pioneered more swims around famous landmarks than any other swimmer in history. Lewis is a vivid storyteller. His address on leadership at the Business Innovation Forum in Rhode Island was voted as one of the “7 Most Inspiring Videos on the Web”. Over 7 million people have viewed his TED talks, and countless others have followed him on BBC, Good Morning America, CNN, Jon Stewart, National Geographic, Sky News, Al Jazeera, Jay Leno and more. His autobiography “Achieving the Impossible” is a Bestseller and was chosen for Oprah’s Exclusive Book List. Lewis’s ability to make his story matter has made him one of the world’s leading inspirational speakers. On their 125th anniversary, Coca-Cola asked Lewis to address their world-wide leadership team. When Unilever decided to double their business and halve their environmental footprint, they chose Lewis to motivate their management team. And when Lloyd’s Agency Network turned 200 years old, they asked Lewis to help them visualize their future in an increasingly unpredictable world. And earlier this year he addressed the world’s business leaders at the World Economic Forum in Davos. As an ocean advocate, pioneer swimmer and explorer, Lewis puts his hard-learned lessons into the context of a corporate environment. He shares the visualisation that enabled him to undertake the first swim across the sub-zero waters of the North Pole. SKy News reports on Lewis as he embarks on a perilous swim in freezing waters to highlight dangers to the Arctic (2017).